It comes in an attractive golden colored hand made paper wrapping with a plastic film packaging inside for double protection. 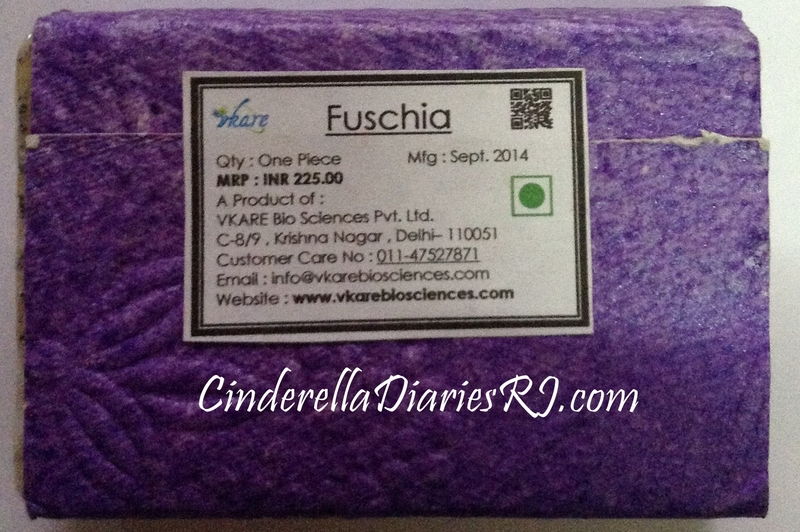 It comes in an attractive purple colored hand made paper wrapping with a plastic film packaging inside for double protection. 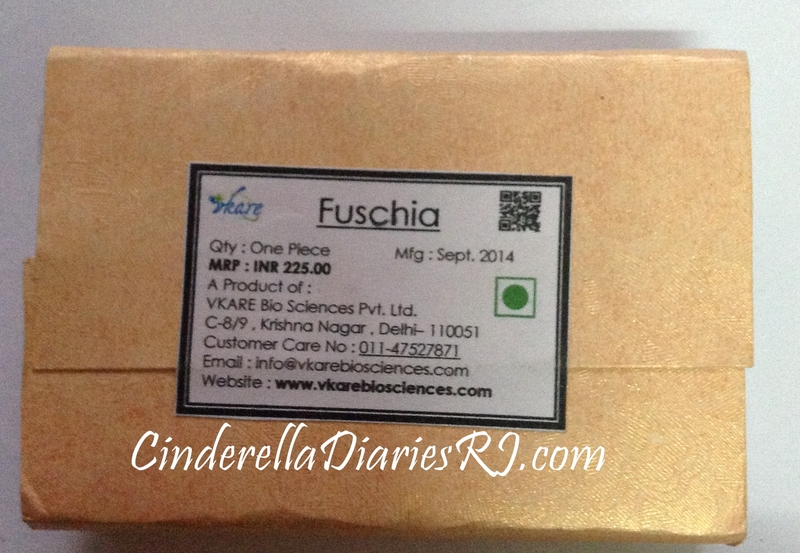 Availability : Fuschia has their own website,also available on Flipkart, Snapdeal,Amazon And Myntra. No stretchy or greasy feeling after use. Doesn’t melts so easily, one bar will last quite longer. 100% Vegetarian and NO animal tested. 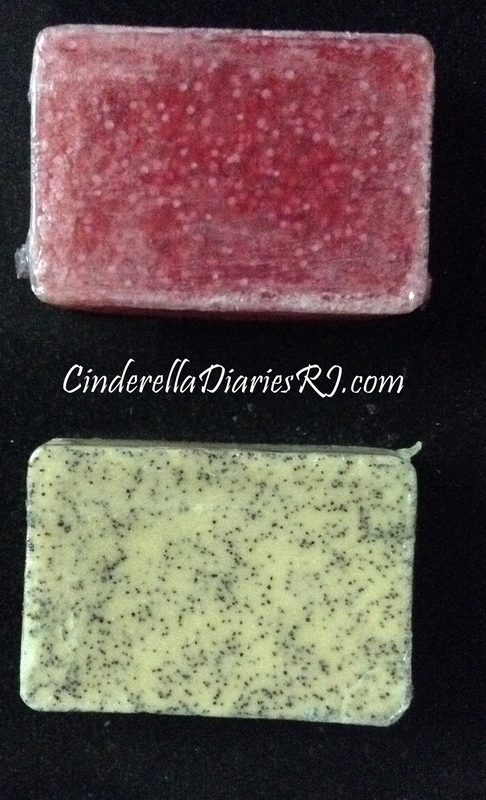 A bit pricey as compared to other handmade soaps. Some may find the granules harsh in Coffee Cream. Ingredients & shelf life missing. Coffee Cream – It gets rid of puffy eyes. It exfoliates dry skin and makes it feel silky smooth. 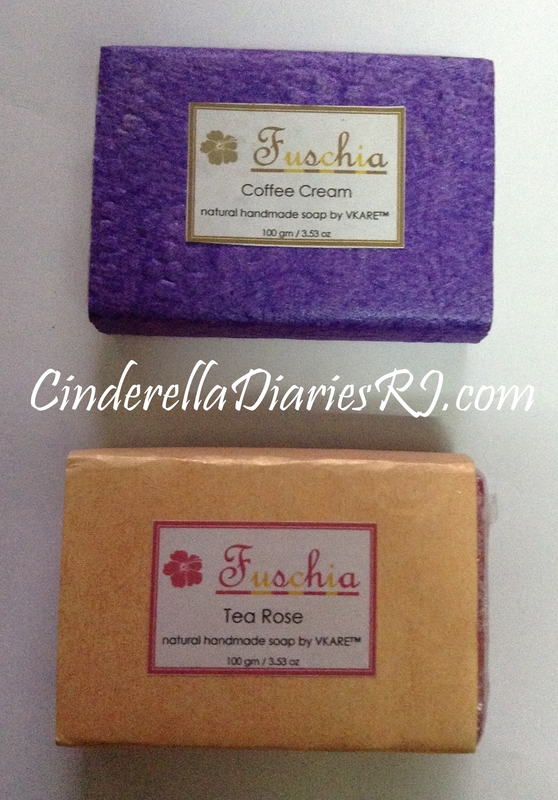 Have you tried Fuschia Vkare Handmade Soaps?